Have you been banging your head against a brick wall until now?! Do no more, we’re here to spare you the pain! Choose our experienced end of tenancy cleaning services and we’ll put an end to your misery! Moving out is enough trouble on its own to have to deal with inch by inch thorough cleaning of your place. We know it and we’re here to help. Contact our professional cleaning company in the Brockley, SE4 and get a full refund on your deposit money. That’s how you kill two rabbits with one stone. Or is it three?! Because look what you’ve got! Your landlord is happy, you’re happy, and by default we are too because you gave us the chance to do what we do best. We got this cleaning thing down to a pat! Trust us. We were one of the first cleaning companies to open doors in the area. If you were thinking that we’ve simply been bragging by now, wait until you hear this. We aim for quality because we aim to please. That’s true. Ask our other customers. That’s why we self-handedly train our cleaners to give you the best service in Brockley. We go one step further and equip them with the best out there. We guarantee you that we work with the most up-to-date efficient cleaning products and high-tech cleaning machines. Then we send them to the battlefield to fight that dirt like it’s a matter of life or death. That’s how devoted we are! We have the best army of professional cleaners in Brockley and you can hire us at your convenience. We work practically every day of the week. Just give us a call. Did we mention our services is also totally affordable?! Check our price list and see for yourself. We have special discounts for regular customers. According to tenancy agreements, tenants are required to provide the same or better level of cleanliness of the rental property in order to obtain the security deposit. 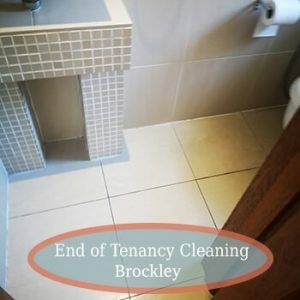 If your tenancy is due to end and you need help with the final cleaning, do not have second thoughts about booking the end of tenancy cleaning service we have designed. First things first, the service comes at highly reasonable rates. Also, it is delivered by a team of hard-working, trained housekeepers with many years of hands-on experience in the sector. They are equipped with professional-grade cleaning products and tools which do not contain any harsh chemicals or toxins. 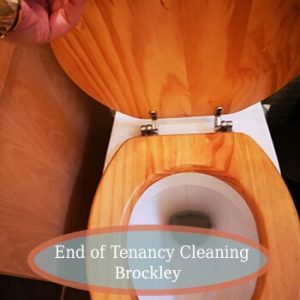 We, at our Brockley company, understand that the final cleaning and the routine dusting are not alike. It is the reason why we offer you to let us do it for you and take the burden off your shoulders. We can do the chores for you while you focus on more urgent matters. We assure you that every bit of the property will be covered till there is nothing but perfect cleanliness. To make your appointment with our professional cleaners, do not hesitate to call us today. We are worth trusting. 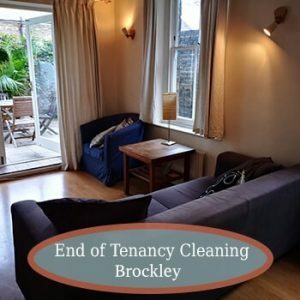 © 2019 Cleaning Services in Brockley | All Rights Reserved.